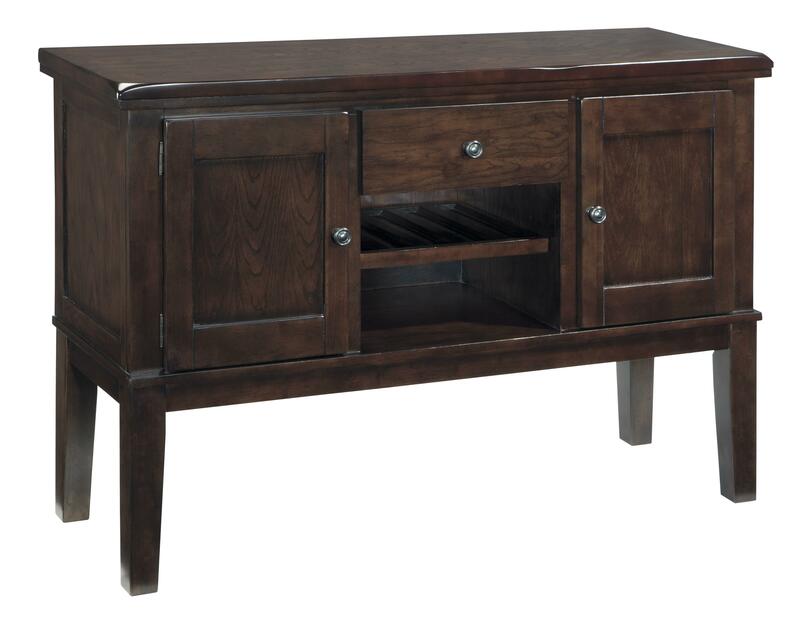 Add some style to your dining room with this server, loaded with storage. 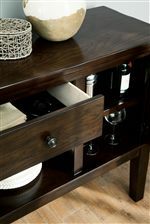 This piece features two side doors with an adjustable shelf, a fully finished drawer, a lower storage space with and adjustable shelf and wine storage for up to five bottles. Adorned with sturdy knobs with a detailed ring design that are finished in a bronze color with gold undertones. Vintage class is a promise with this spectacular storage piece. The Haddigan Dining Room Server w/ Fully Finished Drawer Boxes and Bottle Rack by Signature Design by Ashley at Michael's Furniture Warehouse in the San Fernando & Los Angeles area. Product availability may vary. Contact us for the most current availability on this product. The Haddigan collection is a great option if you are looking for Relaxed Vintage furniture in the San Fernando & Los Angeles area. 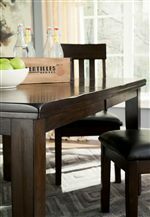 Browse other items in the Haddigan collection from Michael's Furniture Warehouse in the San Fernando & Los Angeles area.